James Tung's Bulletin Board 非型男非主廚之詹姆士: TO LEAVE OR NOT TO? Having been working almost 4 years at this weird company. The orgaziation downsized from 1,300 employees to now less than 90 persons, and the capital decreased from NT$6,000,000,000 to NT$1,200,000,000. 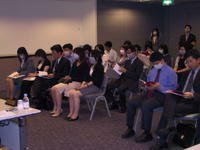 You cna not find ANY business plan, strategy, or dirction here, but employees get good salary and benefit. That is the stragest and most poor-managed company I have ever worked with. To leave or not to leave? That's a question! After reading your article, makes me feeling the same as mine!! To stay or not to stay, that is the question!!! BTW, some people in your photo wearing masks, any particular reason for this ?? Or they are protesting, in silence!!! 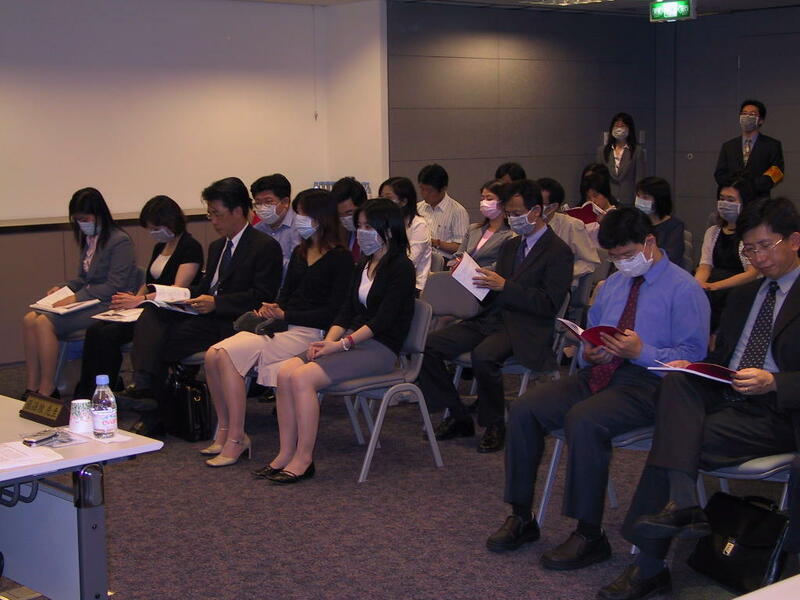 the photo was taken at the stock holder meeting during SARS, so people wore mask and that makes this photos matches my topic. haha!